This homemade all purpose cleaner will work on all your surfaces. 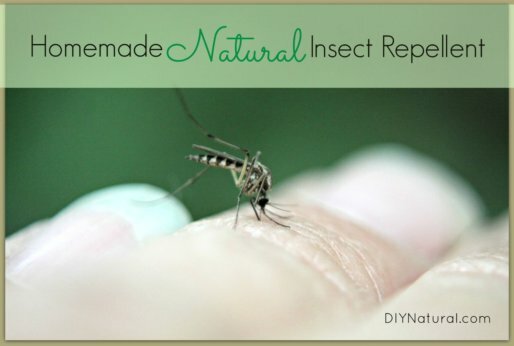 It’s simple to make, contains all natural ingredients, and smells like lavender and mint! This is the question we most often hear from skeptics on the topic of DIY cleaning products. And it’s a tough one to answer. Some will be effective and some won’t because it comes down to the knowledge of the DIY-er. While the process of making your own natural cleaners isn’t an exact science, there is some science to it. We recommend doing the following things to make sure you have cleaners that are really fighting germs, lifting stains, and getting things clean. 1) Begin with the proper ingredients. Whether or not a natural DIY cleaner works effectively is dependent on how much you know about the ingredients you’re mixing together. Did you know that mixing vinegar with liquid castile soap causes a reaction that unsaponifies the soap, breaking it down into its original oils? You end up with a curdled, oily substance that looks like goopy cottage cheese. Instead of boosting your cleaning experience, this acid and base actually cancel each other out. So how do you know what the right ingredients are for each recipe? That takes us to our next recommendation. 2) Learn from people with experience. We have the time, experience, and resources to make a great homemade all purpose cleaner. Most people don’t, and for that reason, we did all the legwork for you. There are several great ebooks, print books, and websites out there where you can get all the information you need to start making your own cleaners, without having to make all the horrible newbie messes and mistakes. And we wrote an entire book on how to make all your own cleaners (60+ recipes), and you can find it here. 3) Employ a little trial & error. A little trial and error on your part may be necessary even once you have all the right recipes and ingredients. In fact, most of the individuals who have done the legwork of creating DIY recipes don’t have fancy laboratories and millions of dollars to fund product research and testing, so there may be some variables you’ll have to deal with. Hard water is one factor that makes a few DIY cleaning recipes tricky for some. This doesn’t mean that you can’t use homemade cleaners, but simply that you may have to tweak a recipe or two or use more of a cleaner than originally recommended. We always encourage people not to give up if a DIY cleaner doesn’t give results the very first time. I believe mainstream media is the biggest reason many people don’t believe DIY cleaners can actually work. When the new Clorox campaign states that “Bleach means clean,” it’s no surprise that we doubt anything else could kill germs effectively. Yes, commercial cleaners may work, but they also introduce toxic chemicals into a home that you are working so hard to keep clean AND safe for your family. Even some of the so-called natural cleaners contain chemicals you don’t want in your home. The Environmental Working Group (EWG) reminds us that, “Many manufacturers may tout a positive aspect of their product but ignore health or ecological concerns associated with other ingredients.” This means that even if you’re shelling out the extra bucks for a “green” cleaner, you’re not getting what you think, so you should be making your own so you can control the ingredients. So when you’re working hard to reduce toxins and find DIY cleaners that really work, tune out the media that might be selling you lies/half-truths, and trust what you know about simple, natural ingredients. Put simply, no one cares about your family as much as you! 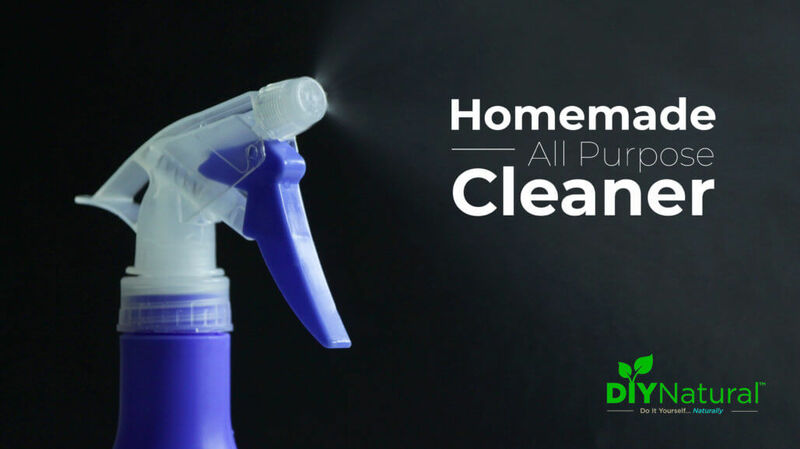 One of my favorite homemade All Purpose Cleaners is formulated with a few simple ingredients that I know are effective in cleaning household surfaces. Hydrogen Peroxide (3%): This common medicine cabinet staple can kill bacteria, mold, mildew, and fungus. It is listed with the Environmental Protection Agency as a sterilizer. It can be used to disinfect all your surfaces in the kitchen and bathroom, remove stains, and even to clean mirrors and stainless steel. I like to use it full-strength because it’s already diluted (3% hydrogen peroxide, 97% water) when you purchase it. Note: Hydrogen peroxide is sensitive to light so it must be kept either in its original bottle (with an added spray nozzle) or transferred to another opaque spray bottle. Essential Oils: Essential oils are the volatile oils extracted from various parts of plants. In addition to their wonderful aroma, certain essential oils are known for their antibacterial, antifungal, antiseptic, and germicidal properties. I love adding essential oils to a DIY cleaner to further enhance its effectiveness. Anything else? No. This is how you keep DIY cleaners really simple, cheap, and effective! Combine all ingredients in bottle, attach spray nozzle, and shake to combine. For best disinfecting results, spray on surfaces and leave for several minutes before wiping clean. Do you have a favorite homemade all purpose cleaner? Please share it in the comments! I have extremely hard well water, how do you suggest I tweet the recipe? Thank you! OK. I have 35% hydrogen peroxide. How much do you think i will need? But, i cant use it on granite – correct? How many drops of essential oil is in 1/2 teaspoon? It is so wasteful to me to put them in a measuring spoon, as you leave some on the spoon. So knowing how many drops that is will be beneficial when mixing the cleaner. Thank you so much! I use vinegar and water at 1:1 ratio, leaving enough space in my spray bottle to add 1/4 cup peroxide. I clean everything with this. It does disinfect and I’ve had no problems with insects. Is this peroxide cleaner okay on acrylic tubs? Can I use this cleaner to spray on my remotes. I know it says to leave it for several minutes so I am just curious. Also Is this cleaner safe to clean my daughters toys that she loves to chew on. Which would be all her toys. I just made this today and I love how it feels and smells. Has anyone used this to clean computer screens? So glad you like it! When it comes to electronics you’ll want to check with the manufacturer’s recommendations for cleaning. I know that Apple warns against using cleaners containing hydrogen peroxide because all their screens have a special coating that can be affected by it. I’ve found a bit of an advantage by using Alkaline water in my home made cleaning recipes. Seems to do a bit better when testing against same recipes with regular tap water. Give a try. Great article btw. Should a dry cloth or wet cloth be used to wipe the surfaces clean? Thanks! So excited to try this recipe. I’ve been looking for a good disinfectant. Use a dry cloth to wipe surfaces clean after allowing the cleaner to sit for several minutes. Glad you’re excited to try this one! Lavender! I absolutely love it! I’ll try your recipe! It sounds very interesting…I’ve never tried peroxide for cleaning. My recipe for household green cleaning is: 1 cup vinegar, 1 cup water, 2 tsp sea salt, 3 tsp baking soda, 2 tsp lemon juice and 20-30 drops essential oil. For cleaning the dirt and odor in the microwave I use vinegar:water 1:1 and it has a very good result. Thanks for sharing! Greets! Do you have a recipe for cleaning granite? I miss being able to use a cleaner like yours. I am sure it smells delightful. You can mix 1/4 cup alcohol, a few drops of your favorite essential oil, a few drops of liquid soap, and about 12-14 ounces of water in a spray bottle. This will make a very inexpensive and effective granite cleaner! I always use vinegar and reverse osmosis water 1:1. I thought that was good enough, but I like the idea of using hydrogen peroxide – especially around toilets and tubs. I don’t use essential oils anymore, though, unless I have a glass bottle to add them to. I’ve read they break down in plastic, but the post doesn’t mention that and recommends using the hydrogen peroxide spray bottle (which is plastic). Thoughts? I’d like to know about that too! Yeah, we accidentally sent this email out early (hit the wrong button), the bundle doesn’t go live until tomorrow Wednesday morning, 9/9/2015 at 8am EST. Apologies! Vinegar will kill some things, but hydrogen peroxide is a more effective disinfectant. And yes, I *normally* use glass with essential oils whenever I can, but the issue is not the essential oils breaking down, it’s the essential oils breaking down the plastic. However, they won’t eat through the bottle or anything. They just react with the plastic. For this application, using EOs in the hydrogen peroxide bottle should be fine. It’s difficult to find an opaque glass bottle, that’s why I’ve given the choice here. Thanks for asking these good questions! The essential oils will be fine in plastic if you are using PET plastic. Check the bottom of your plasticware to see if it’s the PET type.